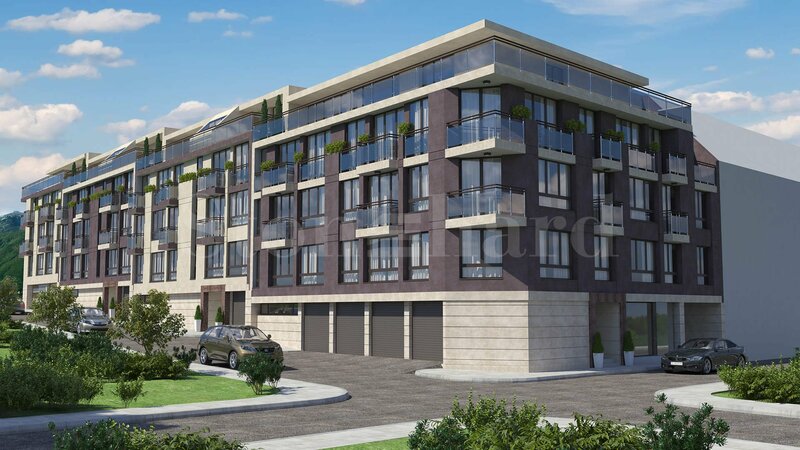 Luxuriously built common areas, elevators, landscaped courtyard. Elite residential complex with modern design, offering apartments of different types, offices, garages and parking lots. The building is located between two of the most prestigious quarters of the capital - Lozenets and Dragalevtsi, at the foot of Vitosha mountain. The area is richly landscaped, peaceful and quiet, but at the same time, "Paradise Mall", "Cherni Vrah" Blvd. and "Cherni Vrah" Metro Station are within easy reach. The complex has the following types of premises: one-bedroom apartment, two-bedroom apartment, large apartment, penthouse, offices, garages and underground parking lots. The high quality construction, the luxurious completion of the common parts and the unique location create a comfortable environment and a unique sense of refinement. The building has a nice landscaped courtyard. - Constructive part: 2.85 m.
• HEAT INSULATION - 10 cm. • SANITATION: installation with UPVC pipes. - Walls: latex paint; Ceilings: plastered gypsum; Floor: granite tiles. • PROTECTION AND VIDEO-MONITOR - CCTV and video control.